Are your agents feeling sluggish about their follow up? Do you send quality leads over their way, and never hear about the outcome? Your team knows the importance of speed to lead, but they seem to be having trouble getting to the leads in the right time frame. There are steps you can take to optimize your agents' real estate lead responses. Start by setting the right expectations in weekly meetings, then consider if they have the proper process, tools and strategy to multitask. Process or Tools? Or Both? As your agents' team lead, you should look into where your agents are experiencing trouble. What's getting in the way of their success? How are agents receiving news of a new lead? If you're emailing them about new lead information, how can you be sure they are checking in when they need to? Additionally, how are your agents setting aside time to accomplish follow up? They might be using a designated time in the day to reach out. That method can be effective for regular follow up. However, what happens when a lead comes in who requires an immediate response? Your agents might miss out on the opportunity to be the first to connect with that lead. Studies have shown that the importance of speed to lead can't be overstated. Leads will end up working with agents they speak with first. CRMS with IDX websites enable your agents the visibility into how your leads are interacting with your site. They can see who was active recently as well as who is favoring homes. These sales activities are a vital way to decrease your speed to lead. If your agents have this visibility, then they can reach out as soon as they see someone interacting with a home. Catching leads while they are thinking about real estate is a crucial way to break the layers of red tape in real estate, cultivate better relationships with your leads and sell more homes. 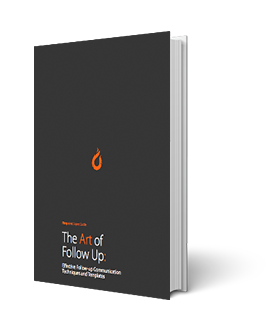 In order to help your agents improve their follow up, you'll need greater insight into their activity. You'll also need a better way to communicate the lead's current place in their buyer's journey. Piecing together technology to get what you need for lead routing, communication and follow up hinders your ability to see true activity. What you need in order to effectively understands leads is a CRM that combines all activity into one platform. A real estate CRM that connects you to your agents' activity will show you how they are following up with the leads. You'll get insight into how soon agents are calling leads, how persistent they are being with their follow up, and how many deals they have running at once. This visibility will also enable your agents greater control over their leads. Once you source the leads, you can send them to your agents. They'll be notified of all the information they need to know — on a central dashboard. As your business grows, it will become of more importance to provide your team with repeatable and scalable processes and tools so they can follow up with more leads, close more deals and make more money for themselves and for the team. A real estate CRM will give you and your agents a huge leg up on your competition and enable them to do more with less effort overall. As your business grows, your agents will need to follow up with more leads while maintaining their personable approach and the service mindset. In order to facilitate their growth as agents and their ability to scale up their own business, you will need to provide them with the proper tools, guidance and process to accomplish more follow up with leads. Shaving off real estate lead response time in the way of efficiency and visibility by use of a CRM will compound your teams' experience and skill — and enable them to help more people find the perfect property.